Oops … this is what happens when you lose a band’s press kit in your car’s trunk for two years. This four-song demo is a neat, tight conglomeration of polished emo pop-punk with sharp production (Boho Digitalia), tight performance and grounded songwriting. 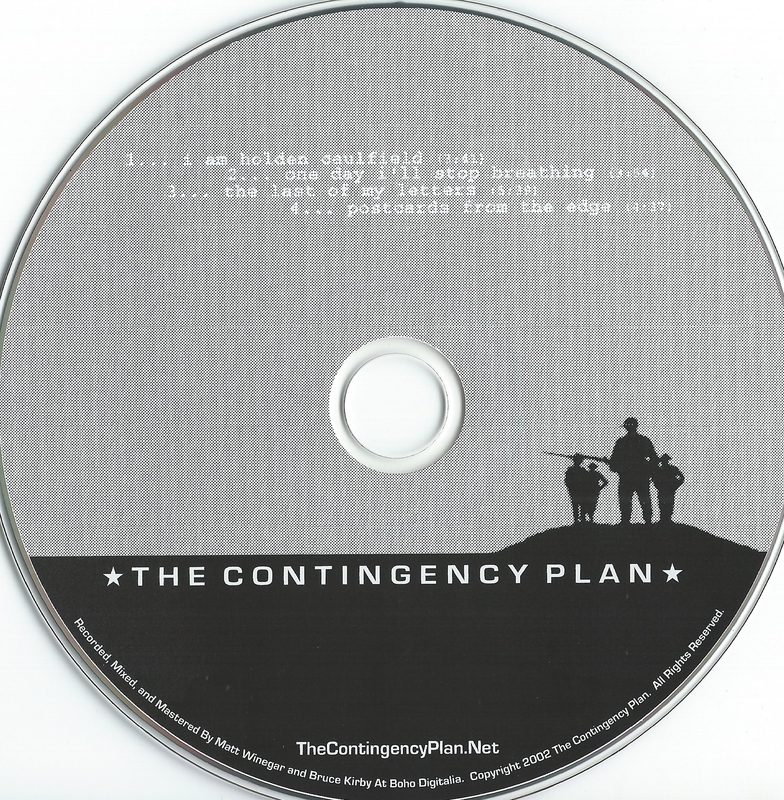 The Contingency Plan have the youthful, earnest angst of local rockers Nimh (R.I.P. ), but with the mainstream appealability of say, The Used, without sounding exactly like them. Rosy-cheek’d love-lost forlorn hasn’t yet been overtaken by later probable song topics like ennui, anger at the government and liver disease.